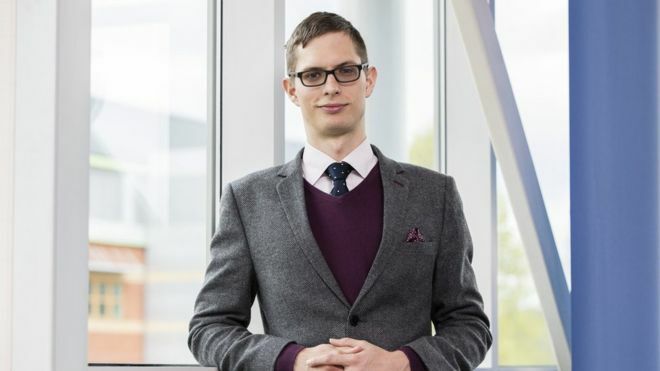 A 27-year-old transport planner has won the £250,000 Wolfson Economics Prize for a plan to improve Britain's roads. Gergely Raccuja proposed a distance-based charge to replace fuel duty and vehicle excise duty, with the money raised being used to boost investment in roads and improve air quality. He also said he could maker Britain "pothole free" within five years. The Hungarian, who is the youngest ever winner of the prize, said he was "over the moon" to have won. Mr Raccuja, a UCL graduate, topped a shortlist of five entries, judged by senior figures including the former chancellor Lord Darling. Entrants to the 2017 prize were all asked to address the same question: "How can we pay for better, safer, more reliable roads in a way that is fair to road users and good for the economy and the environment?" Mr Raccuja's plan argued that a new distance-based charge would be "simple and fair" and would help "rebuild trust" between the government and motorists. Drivers wouldn't be asked to pay more overall, but instead would pay in proportion to the distance they drove each year. The charge would also reflect how green their vehicles were, with cleaner cars paying less per mile. Mr Raccuja said the money raised would be invested in making UK roads ready for a new generation of electric and autonomous vehicles. The charge, to be collected by insurers, would also be more efficient than current systems and would boost Treasury coffers as the number of cars on the road and vehicle mileage were projected to grow.